The South African Football Association (Safa) has in the past been a subject of criticism from both the media and the football loving public for failing to deliver. The football governing body held its elections at the end of September, giving birth to a new president and executive committee. Analysts hailed the new man at the helm and tipped him to be the Houdini of South African football’s rise from the ashes. But is the new president the right man to turnaround the misfortunes at Safa that have brought heartache to many South African soccer loving fans? Born in Port Elizabeth on 3 September 1951, Daniel Alexander Jordaan, headed the 2010 FIFA World Cup Organising Committee as CEO. Popularly known as Danny, he has over the years been a senior lecturer, politician, sports administrator, acute businessman and political activist in the struggle against apartheid in South Africa. Jordaan has been involved in South African football right through its emergence from apartheid. He was briefly named interim president of Safa back in 1991, when Safa made a presentation for readmission to Caf. From 1997 to 2004, he was Safa’s CEO and the key force behind South Africa’s bids for the 2006 and 2010 World Cup finals. 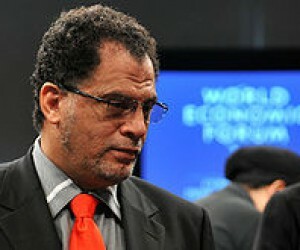 All his efforts came to fruition in 2004 when South Africa won the right to host the 2010 World Cup and Jordaan headed up the much lauded organisation of the tournament. “The challenge for all of us is the development and reconstruction of South African football. Many say we are a football nation, but I say we are not. We have to get junior leagues going,” professes Jordaan who once joked that he might work in a postoffice rather than return to the stresses of football administration. As the new Safa president, Jordaan will spearhead Vision 2022 with the aim to place South African football back on the world map. According to excerpts from the Vision 2022 document, Bafana Bafana must always be ranked in the top three in Africa and top 20 in the world in the next ten years. But are Jordaan and his troops up for the challenge? “I have spent a lot of time at Safa, mostly as a CEO, since 1981. Those who have worked with me know that I don’t tolerate failure. If we say that we have to achieve this and that, then we must aim to achieve that. Otherwise we must not instill false confidence in soccer lovers by promising things that we cannot deliver,” says Jordaan in an exclusive interview with Leadership. “We are just coming from an election and that election produced a near 52% turnaround of the executive board. I’m pleased to announce that two women who have been involved in football, are included in the executive board. In South Africa we have people with experience in terms of development of football at national level. We start this term realising that there were no significant qualifications because we failed to qualify for the World Cup on all levels and we only played in the 2013 Africa Cup of Nations because we were the hosts. Only the women managed to perform and the men failed dismally,” he argues. He brings on board a wealth of experience as he has served Fifa in numerous capacities including that of General Coordinator for the Fifa U20 World Cup, 2001 Fifa Confederations Cup, the 2002 Fifa World Cup and was a member of the 2006 Fifa World Cup Organising Committee. The latest feather in his Fifa cap is being included in the 2014 Fifa World Cup Organising Committee. Jordaan, however, steps into office at a time when national teams, from junior level, are failing to make any impact in both African and international football. Safa wants to identify talented players between the ages of 13 and 14 who will receive proper coaching with the hope that those players will be the core of the 2022 Fifa World Cup squad. “Football runs in cycles of four years. The next cycle will run from 2014 to 2018 and we will then need to look at what was achieved. The under-17s, 20s, 23s and Bafana Bafana did not qualify for any prestigious tournament. Only Banyana Banyana managed to place South Africa on the world football map. If your child failed in both primary and high school, how do you expect him to pass at tertiary level without looking for the reason as to why he failed. “Time for failure and mediocrity is over. We are going to work hard in order to succeed. We must put Safa where it belongs because the nation is tired of mediocrity. Players are selected at amateur and junior level and the next level is the national team. We do not have provincial structures. Rugby has the Sharks and Cheetahs, where are the Sharks and Cheetahs of football?” he asks. Boasting a BA Degree from the University of the Western Cape and an honours degree from the University of South Africa, he received three honorary doctorates from Nelson Mandela Metropolitan University, the University of South Africa and one from his alma mater, the University of the Western Cape. Jordaan is a man who selflessly speaks about the development of local football and his interest in developing junior football structures through Local Football Authorities (LFA). He is of the notion that the junior base needs to be sanctified in order to produce a competitive national senior team that can challenge for honours at the highest competition level. “We have to make sure that we have structured competitions for juniors and the structures of football start with the LFA, like the Umlazi Local Football Association and the Khayelitsha Local Football Association. There are 341 of them throughout the country and we have to make sure that in each of the 341 LFAs there must be structured junior football competitions from under 13, 15 and 17. If each one of them have three leagues of ten teams, we would have about 10 330 teams in our country and if it is for both boys and girls, then we would have 20 660 junior teams. Looking at the international benchmark, we are way behind and there must be a massive shake up. Ideally we should have 50 000 to 60 000 junior teams. “We also want to invite inter-regional competitions. The 41 regions, for example, will compete together and then we will come up with provincial teams. Out of the provincial games, we will select a national team,” he stresses. Another area that is seemingly giving Jordaan the courage to make a difference involves coaches. With a lot of aspiring soccer players in South Africa, there is a lack of qualified coaches and Jordaan argues that the country needs uniformity in coaching. “It is pointless to have junior structures without the proper mentors to guide them. There is a very big problem when it comes to the number of coaches that we have, especially the number of qualified coaches. We have almost one coach per 200 kids. If you have one teacher per 200 students in a class, what outcome would you expect? We need to train and develop sufficient coaches to create a 1 to 20 ratio of coach to players. We will need to have 150 000 qualified coaches in ten years. Spain has 12 000 A-license coaches, England has 10 000 and South Africa has just 23. We have to try and fast track solutions in the short-term but in the long-term there are massive structural problems we have to solve to be among the best in the world. We are not there,” Jordaan discloses. A R70 million academy will be built at Hoy Park in Durban and it will be modelled according to that of Portuguese giants, the Sporting Lisbon model. All these ventures will require financial support in addition to money already available from the Fifa Legacy Trust. Jordaan is confident he can get the sponsors investing in the future of South Africa football. This is after petrochemical company Sasol continued its long standing support for South African football by becoming the first corporate sponsor of Safa’s Development Agency for the next three years. “When we were preparing to take office we identified development as the key priority of the Safa administration. I have served on the marketing and television board for Fifa and I am the vice-president of marketing for Caf. I worked with Fifa on the Organising Committee for sponsors for the World Cup in South Africa. We raised $120 million, that’s R1.2 billion. I have long term relationships with many of these companies and I am sure I will be able to convince them to come back and support football,” he says. Jordaan added that during the 2013 Annual General Meeting, it was revealed that the organisation lost R46 million. In 2012 Safa came under fire after losing R56 million, despite receiving R113 million from the Fifa World Cup Legacy Fund. “A financial turnaround strategy has been set up to address this issue,” he briefs, defending the purchasing of luxury cars and suggesting that his organisation has been unfairly criticised. In the past there has been criticism over millions of rands that were spent to buy luxury vehicles. The new Safa president has further assured the nation that the misuse of funds will not be tolerated during his tenure as the president. 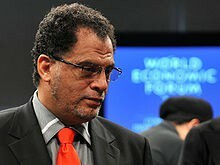 Jordaan promised that the 2010 Fifa World Cup Legacy Trust Fund will be put to good use by the association. “We have R450 million in that trust and it has two objectives; to fund development and to invest it in such a way that we secure the long term sustainability of that structure. We started off with R450 million and we generated interest of R40 million. We then gave R40 million to Safa and we still have R450 million. So that’s why we say, we are not just going to hand out that money. We are going to invest it to generate interest to sustain the development programme for at least ten years,” he explains adding that a number of projects have already been set up from the money allocated to Safa. An active sportsperson, who participated in various sporting disciplines including soccer, cricket and hockey, Jordaan believes that players must be moulded and trained to prepare for life after football. He blasted the media for praising ‘old’ players whenever they score goals instead of serving as a platform to encourage them to prepare for life after football. “It would be encouraging to read that such a player is doing an MBA or LBA. Football players must know that one day they have to retire and there is life beyond football. If you look at other sporting disciplines such as rugby, you will discover that some of the players are qualified doctors, accountants and lawyers. Springboks player Jannie Du Plessis, for example, is a qualified doctor. But it’s a sad story when it comes to soccer. After retirement, most players want to squeeze into coaching without the relevant qualifications and that too is a serious problem when you look at it from a developmental angle. “We do not have qualified coaches. A majority of our coaches have introductory coaching certificates. Last year there were plans to train 10 000 coaches. A total of 464 attended and 102 dropped out. So only 362 continued. Out of those 362, only four got Caf level D-certificates and all the others did an introductory course to coaching. If we cannot produce 10 000 coaches, then we must not have goals that we will not be able to fulfill,” he states. Jordaan has received a number of local, regional and international awards that exude the calibre of a leader that he is. He received a special presidential award from President Nelson Mandela in 1994, as well as the presidential sport achievement award from President Thabo Mbeki in 2001. In 2004, he was voted 44th in the Top 100 Great South Africans and newsmaker of the year. He received a mayoral award from the Mayor of Los Angeles and was also given the freedom of the city of Maracaibo in Venezuela.